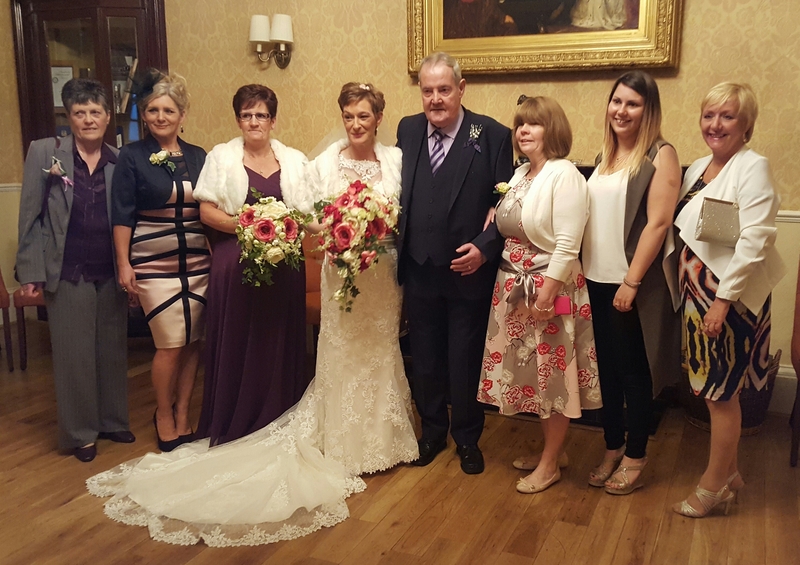 A South Uist couple who got engaged at Raigmore Hospital’s Kyle Court earlier this year have tied the knot. Iain and Shona MacFarlane (nee Macintyre) got engaged in June while staying at the Kyle Court patient accommodation. Kyle Court has become a home from home for the couple over the last five years as Iain (63) is required to stay there every month while he receives treatment for myeloma. Shona (47) said: “We wanted to invite the staff from Kyle Court and haematology. As far as we’re concerned they have given us our lives. The treatment and care we have both had is amazing. The couple were married this week at St Mary’s Church in Inverness by Fr. Donald MacKay while Diane Paton, a domestic staff member from Kyle Court, was their maid of honour.